ACCO Brands is pleased to announce the launch of its Rexel Data Protected campaign today, which will run until December 2017. 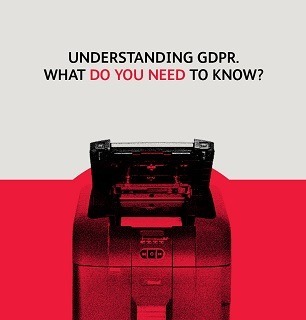 In order to increase awareness and education of the new General Data Protection Regulation (GDPR) that comes into force in May 2018, ACCO Brands is releasing a dedicated e-book entitled “Rexel Shredding: Why a paper security policy is integral to GDPR compliance.” In addition, ACCO Brands is offering a Pan-European end-user promotion on its Rexel Auto Feed shredders. The GDPR is concerned with how personal data is used, stored and processed. The new regulation will shift control of personal data back to the owner, giving any individual the right to have personal data concerning them erased and destroyed without undue delay. Organisations should be aware that if they fail to comply with the new GDPR, they risk fines of up to £20million or 4% of annual global revenue. According to an ICO survey, 75% of adults don’t trust businesses with their personal data. It is therefore important that resellers educate consumers about the importance of GDPR to help build trust between both parties. Rexel’s Data Protected campaign supports trade partners by providing a bank of resources on the ACCO Brands Partner portal. Key to the Data Protected campaign is a new e-book focused on GDPR compliance and paper security. Available to download for free on the ACCO Brands Partner Portal, this exclusive guide offers a six point GDPR action plan for businesses to use to support compliance with the new regulation. To assist its channel partners in further driving shredder sales, customers can claim up to £100 cashback when purchasing selected Auto Feed shredders for the duration of the Data Protected campaign. To extend the campaign’s reach to a cross-section of the market and help drive the trade up opportunities within the Auto Feed range, both cross and micro cut shredders are included in the promotion. Chris Gaskell, Senior Director, Brand Marketing, ACCO Brands EMEA, comments: “As the GDPR deadline approaches, it’s essential that organisations are already attributable to paper, it is imperative that businesses have in place a clear shredding and document management policy for employees to follow. To find out more about Rexel’s Data Protected campaign, cashback promotion or to access the eBook, please visit https://uk.rexeleurope.com/pages/gdpr.